Crax mitu Linnaeus, 1766, Brazil and Guiana = northeastern Brazil. Monotypic. 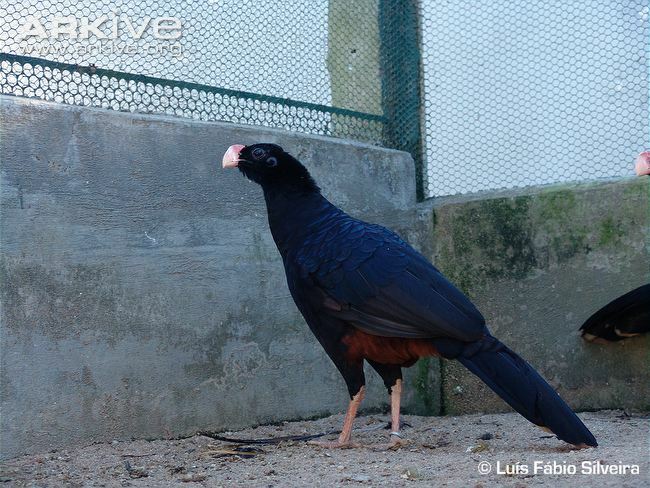 English: Bare-eared curassow; French: Hocco mitou; German: Mituhokko; Spanish: Paujн de Alagoas. About 32.5 in (83 cm) in length; males weigh about 104 oz (2.960 g); females weigh about 97 oz (2,745 g). Shorter head crest and tall, narrow red comb running along the forehead and upper mandible of the beak. 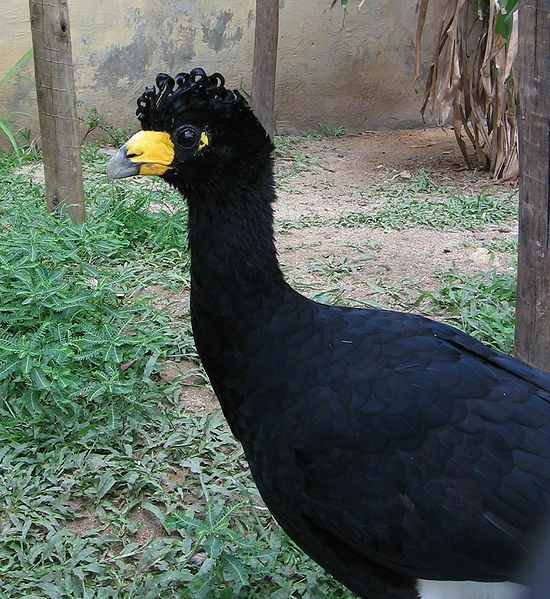 Lacks dense feathering in the auricular region, hence its alternate name of bare-eared curassow. This species was endemic to Alagoas, Brazil, but is now extinct in the wild and survives only in captivity. Extinct in the wild, but formerly found in lowland forest. Little is known, though the birds have been raised successfully in captivity. Little known. Fruit was found in the stomach of a specimen collected in 1951; and three birds were spotted eating fruit in the late 1970s. One nest from the late 1970s was found in a tree amidst much foliage cover. 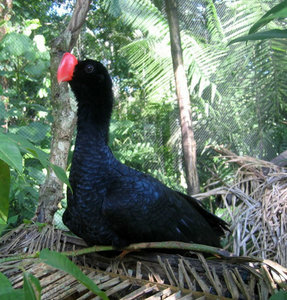 Captive birds are apparently sexually mature after a couple of years, and the clutch size is often two eggs, as is the case with most curassows. This species is Extinct in the Wild, and most of the region it lived in before has been converted to soybean plantations. 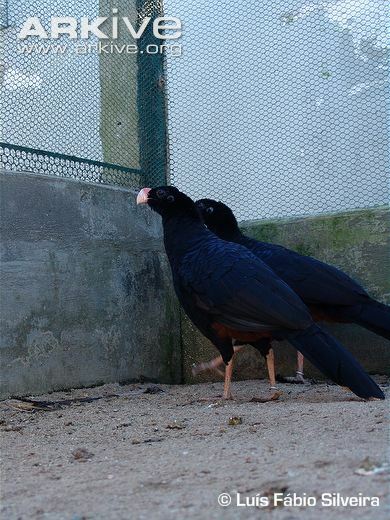 A small population persists at two collections in Brazil, jointly exceeding 50 birds in the year 2000. These birds have been hunted for food. Their survival depends upon the populations currently in captivity.